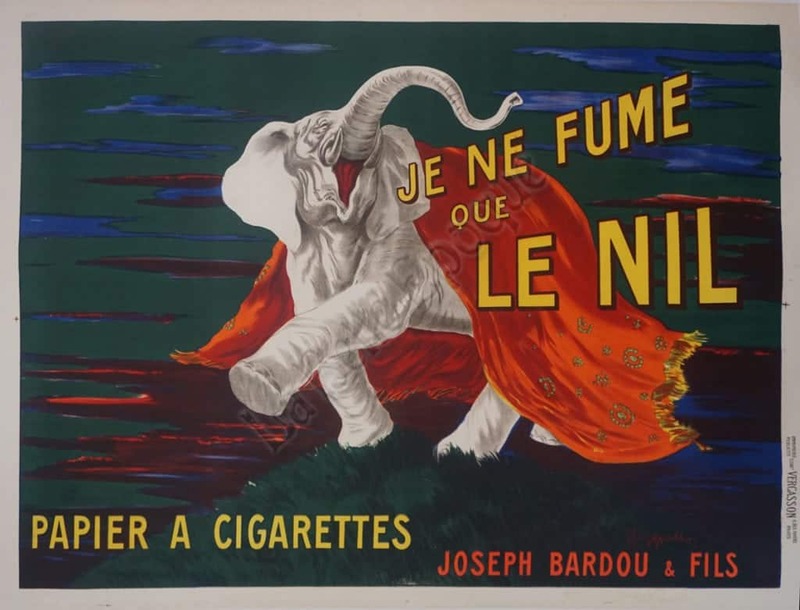 The Joseph Bardou Company introduced Le Nil to the public in 1887. It was a brand of cigarette rolling paper. The elephant was a favorite attention-grabber of Capiello, which was fitting for the strength of the paper (said to be as strong as the hide of an elephant). Featured is a white elephant wrapped in a red blanket on a green & blue background, with yellow lettering.